History is not as simple as it used to be. It has multiplied to become histories of different cultures, men, women, transgender, active, counteractive, intuitive, counter-intuitive. Not just the property of grand politicians, great museums or powerful factions. Not only right or left-wing. Not only about obedience or disobedience, right and wrong. Bits of histories survive, salvaged, re-related, rescued from the muddle of ephemera and waste papers, from empty rooms, throwaway catalogues and abandoned studies. Histories are about the way people used to live: about traces of the ways people said they lived, about the way we think we can interpret and reinterpret the past. So we do construct and reconstruct. Histories talk propagandas, ideologies, truths, half-truths and arguments. They track the spectrum of behaviour, necessity, morality. They are more complex, less monologic, more negotiated, less official, shadowed with opinions, more demanding than before. In Scotland, histories of women in a local context are often overlooked as The Biographical Dictionary of Scottish Women testifies. Some Scottish women’s histories come from kailyards, country kirks or crofts; their writing, much maligned, defies marginalisation as do their archivists. Some writers who were born into simple and relatively innocent homes worked to observe and record events for Scottish City newspapers, serving a complicated and violent world. Through journalism for local, national and international readership the paradigms have shifted. One female writer whose travel journalism, stories and features have been put together, in what she (as a linguist) might call Festschrift, is now in print. Consider the Animals is a fragment of her full corpus, as Graeme Orr, the writer’s son, makes clear. Winifred Nancy Primrose Orr (nee Cowan in 1917) used her familiar pet name Pippa and her husband’s middle name, Stuart, for some articles in this book, but she wrote as WN Orr for the Glasgow Herald. 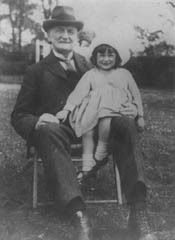 With older sister Maudie and elder brother Ronald, Pippa seems to have had a pleasant childhood that was regulated between home and the local Kirk. The outskirts of Glasgow remained largely rural, and she could enjoy the freedom of playing in gardens and woods. She went to Park School for Girls in Glasgow and graduated from Glasgow University with a First in French and German. Although invited to study for a doctorate in the subject of Rainer Maria Rilke, the Second World War intervened and she became a tutor to Polish servicemen. Pippa’s Glasgow Herald articles, from 1960s onwards, can still to be traced, ideally perhaps through Dundee University Archives. Other articles by her appeared in Countryman, Country Life, the Scotsman, the one issue of the Scotswoman (8 March 1995 edited by Lesley Riddoch) and the Christian Science Monitor (established in 1904 by Mary Baker Eddy with the intention ‘To injure no man, but to bless all mankind’). That much, we know from the Preface. Many of the other historical details are blurred and we are left witness to the author’s zest for life, her pleasures in travel, in the natural world, in the direct experiences of birdsong, or the relationships between dogs and men. 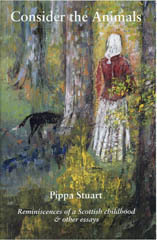 One detail omitted from the book is that Pippa published The Gift of Birds (edited by Larry Habegger and Amy Greimann Carlson) with Traveller’s Tales of Palo Alto, in 1999. Whilst Pippa’s works are informed by immense reading and a wide knowledge of different languages, they do not have the dryness of academic work and the articles can be ready easily, in short bursts. The absence of historical recording might send ‘the professional historian’ mad with frustration. But in the absence of sequential records, there is, nevertheless, a voice from the 1960s onwards, trying to make sense of the enchantment of nature and travel. Even if you know there is evidence to the contrary, you still want to hear truth as someone else finds it and to see beauty by being shown other points of view. When things like natural peace, stillness and spiritual silence can just be romantic notions from idealised pasts, and cruel and vindictive turns of fate continue to damage people scrambling for life, someone like Pippa can remind you how important it is to observe pleasures and act to alleviate pain.